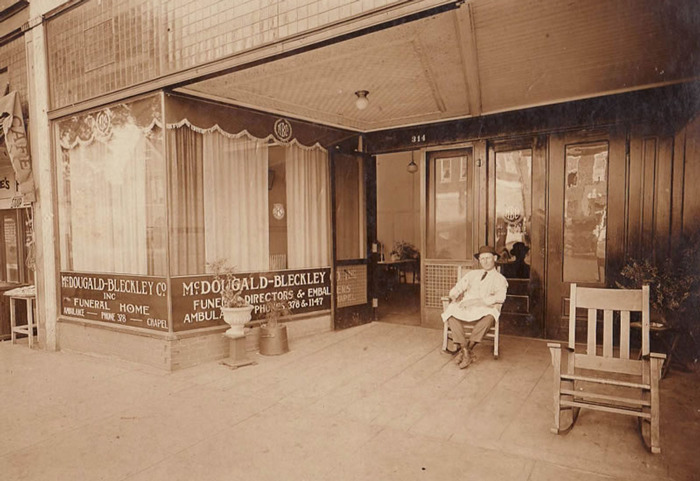 The McDougalds have served Anderson, South Carolina, and its surrounding communities with dignity and integrity since 1920. Jesse S. McDougald came to Anderson from Georgia and after working a period with G.F. Tolly and Son Funeral Home in Anderson, opened The McDougald-Bleckley Funeral Home in 1924. Jesse, who was a pioneer in Funeral Service in the area, died in 1930 at the very young age of 29. After attending Emory University in Decatur, Georgia, and the Brown School of Embalming in Raleigh, North Carolina, Jesse’s brother Douglas C. McDougald, Sr., and his wife Grace Pearman McDougald, came to Anderson and joined with a prominent family in the Anderson business and political community, the Johnston Family, to open the McDougald-Johnston Funeral Home in 1934. Mr. McDougald obtained a most suitable facility located at 600 South Main Street at the corner of River Street, and after extensive remodeling to meet his specifications, a formal opening was held the weekend of November 23-24, 1934. Mr. McDougald had a keen sense and intuition when it came to understanding the dynamics of funeral service operations and the facility which would house this very special service to the Anderson community. He was most concerned that the funeral home offer the public comfort and a home-like atmosphere, while at the same time facilitating the important work of serving families at their time of loss and grief. The location on South Main Street served the people of Anderson very well for many years. The facility was remodeled and updated several times to meet Mr. McDougald’s desire to offer the community the finest, most modern facilities and equipment available. Mrs. McDougald worked at her husband’s side providing much needed support to the funeral home and to the families. Over the years, The McDougald Funeral Home grew as the people of Anderson came to appreciate the high level of service the firm offered. 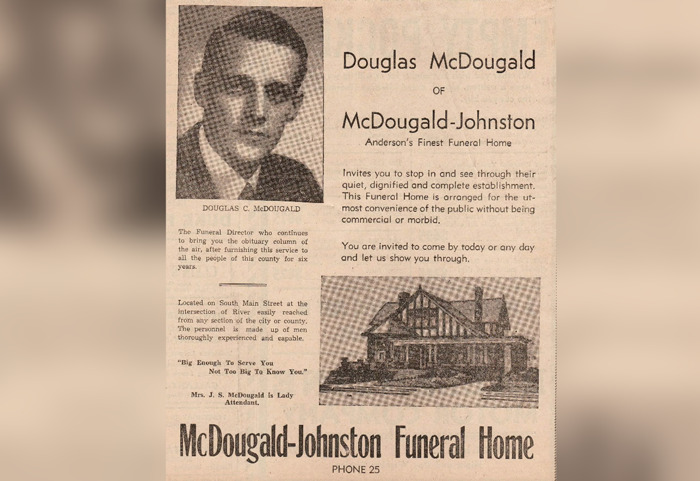 Mr. McDougald acquired the Johnston family interest in the business, and the name was subsequently changed to The McDougald Funeral Home. 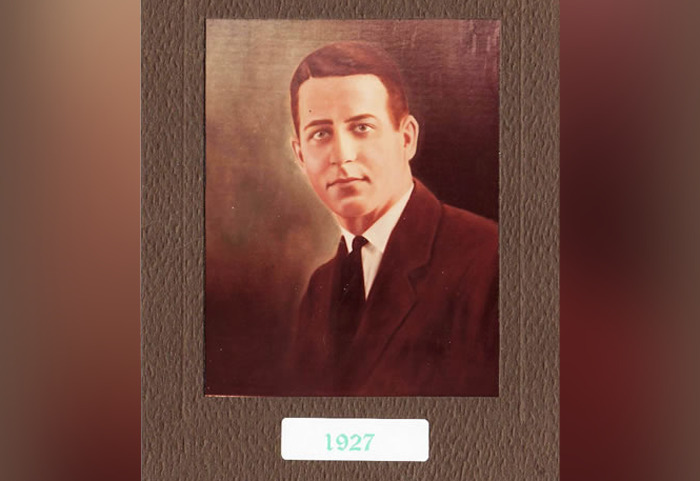 At his side supporting him in the operations of the business was Mr. McDougald’s brother-in-law, Ben J. Pearman who was in a leadership role at the funeral home until his death in 1979. Mr. and Mrs. McDougald’s son Douglas C. McDougald, Jr., came into the family business on a full- time basis after graduating from Boys’ High School in Anderson, Presbyterian College in Clinton, South Carolina, and following a tour of service to his country in the US Army as a First Lieutenant. 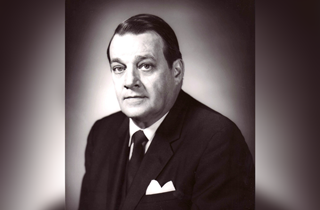 Having grown up in the business, Douglas had learned over his lifetime the keys to success in funeral service. He knew well the foundation on which his father had successfully built the family business, the key components being dignity, integrity, and the finest service available. Forest Lawn Memorial Park was located on Highway 29 North on the north side of Anderson along the route toward Greenville. The cemetery was developed and subsequently dedicated on April 15, 1951, by Mr. W.J. Crowson. The McDougalds acquired Forest Lawn from Mr. Crowson in the mid-1960s and have brought many improvements and further development to the property. The goal was to make Forest Lawn truly a sanctuary for the families who place their loved ones in the beautiful gardens or mausoleums of Forest Lawn. In 1996 the McDougalds acquired Oaklawn Memorial Gardens along the rapidly expanding corridor of Highway 81 North. Mr. McDougald believed that to properly serve the people of Anderson in the future, another funeral home facility would be required. The decision was made to purchase property at the corner of North Main Street and James Street, where the funeral home is currently located. 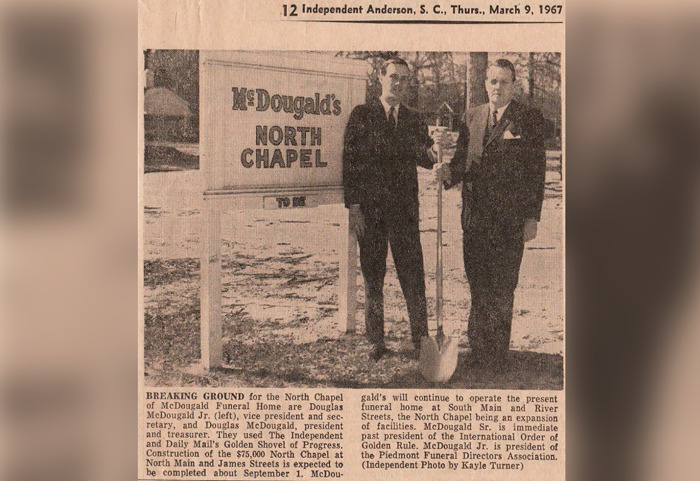 After extensively remodeling the “Lee House” on that site and a substantial addition, the new McDougald’s North Chapel was opened in March, 1968. The facility was significantly expanded again in the early 1970s, providing more space for the expanding business and the families served by The McDougald Funeral Home. Another expansion occurred in the 1990s, adding still more space to effectively serve the needs of the community. 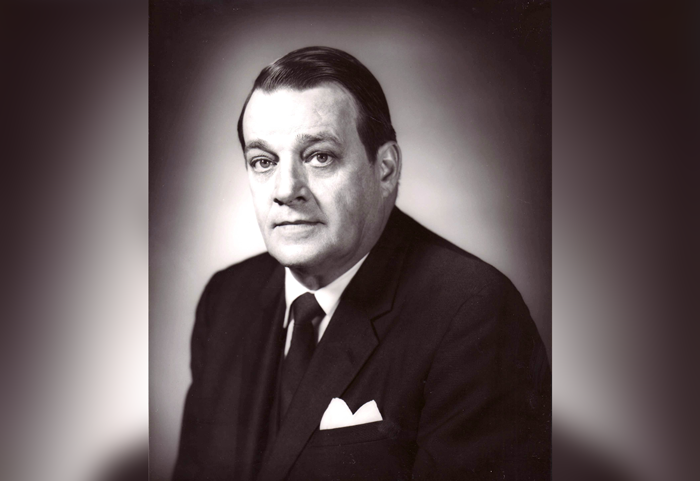 Douglas McDougald, Sr. served a term as an officer in the National Funeral Directors Association, and also as President of The International Order of the Golden Rule. 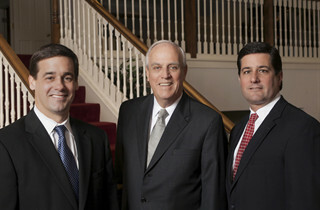 The McDougald Family holds the distinction of having three members to serve as President of the South Carolina Funeral Directors Association: Douglas McDougald, Sr., Douglas McDougald, Jr., and Douglas McDougald, III. After many years at the helm of The McDougald Funeral Home, guiding and directing its growth and success, funeral service lost a true legend. Mr. Douglas C. McDougald, Sr., died in June, 1980, leaving behind a devoted family, staff, and many dear friends, all of whom were so important to Mr. McDougald. Douglas C. McDougald, Jr., assumed leadership of The McDougald Funeral Home at that time. Douglas and his wife Peggy had two sons who were destined to come into the business, Douglas C. McDougald, III, and Jesse Fretwell McDougald. The McDougald family are all very involved in community and church. They encourage their staff members to be involved in supporting community efforts. The McDougald family has always realized the importance of having a professional and competent staff to serve families in the most courteous and professional manner. The McDougald Funeral Home has always had a wonderful group of people carefully selected for their skill, compassion, and sincerity in serving families going through the most difficult time of their lives as they mourn the loss of a loved one. There are many long-term employees who have been devoted over many years to The McDougald Funeral Home and the families it has had the pleasure of serving. 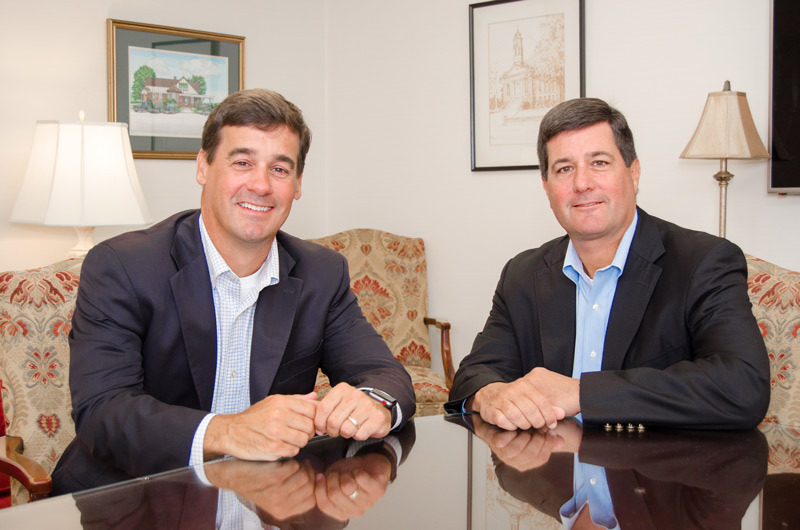 After almost eighty years of continuous operation as a family firm, the third generation of The McDougald family has accepted the mantle of leadership of The McDougald Funeral Home. Over the years, there have been changes to facilities, equipment, and modern updates as to how funeral service serves the public; however, the basic values and principles upon which Mr. Douglas C. McDougald, Sr., founded the business are exactly the same today as in the beginning. 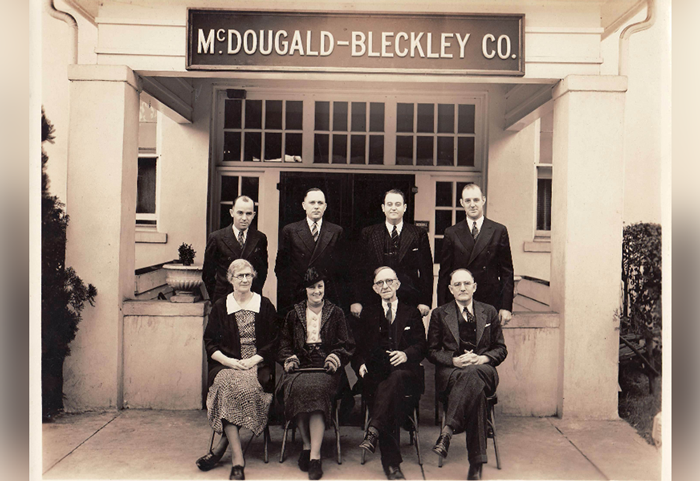 Guiding principles such as dignity, integrity, trust, confidence, compassion and service, all those qualities that were so important to the founder, are still the cornerstone of The McDougald Funeral Home today. A highly qualified and competent staff continue the ministry of serving the people of Anderson and surrounding areas. The McDougald Funeral Home is a member of the National Funeral Directors Association, the South Carolina Funeral Directors Association, The International Order of the Golden Rule, and Selected Independent Funeral Homes.